Campagnolo Neutron Review: A super lightweight wheelset from the trusted brand. Campagnolo Neutron is an alloy wheelset that both pros and beginners can benefit from. These wheels are impressively lightweight compared to others of the price range. They are also designed following the finite method to provide better balance and lateral rigidity. Campagnolo Neutron is another classic set of wheels in the Campag lineup. The Neutron wheels are used by both pros and amateurs. The advantages of these wheels are that they are super lightweight and also super reliable. They are made from alloy, so the light weightiness is a given. The total weight comes to about 1,470 grams. The secret of this lack of weight is that Neutron wheels are made with precise measurements with regards to the walls and the top bridge of the rim. As a result, the inclines are surprisingly low weight. The Neutron wheels have calibrated extrusions. The flanges are aluminum, but the hubs are carbon. The wheels are highly responsive as well. They have impressive lateral rigidity even when the rider is off the saddle. The hubs are also quite light as a plus. The rims are welded to turn the braking surface. The areas between the spokes experience fewer stress thanks to the unique design. The design follows the finite element method, which is known to provide results in the lab and out in the field. The rims are of course differentiated. The front wheel rim is lighter and symmetrical while the rim on the rear wheel is stouter. The rear rim is also drilled asymmetrically, which improves lateral rigidity in line with the wheel dish. This design distributes weight evenly between the front and the back end of the bikes and promotes better balance and flexibility. 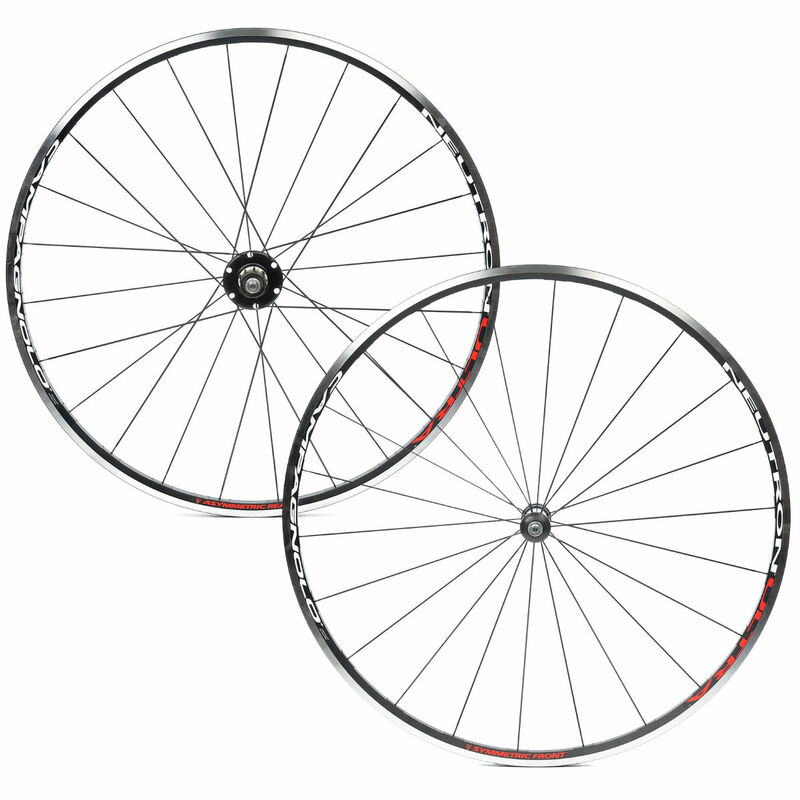 Overall, this is a great wheelset for racers, uphill riders and those who tend to ride for very long periods. Campagnolo Neutron is an incredibly lightweight set of wheels very suitable for a variety of cycling conditions. It’s definitely worth the money considering that this wheelset is suitable for everyone regardless of expertise level.